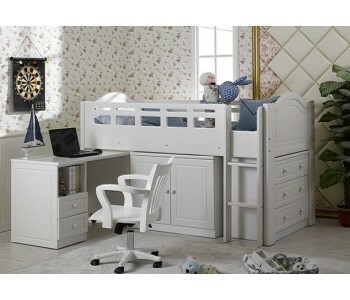 Need a one-stop solution for your kids' bedrooms where sleeping and studying are taken care of in style? 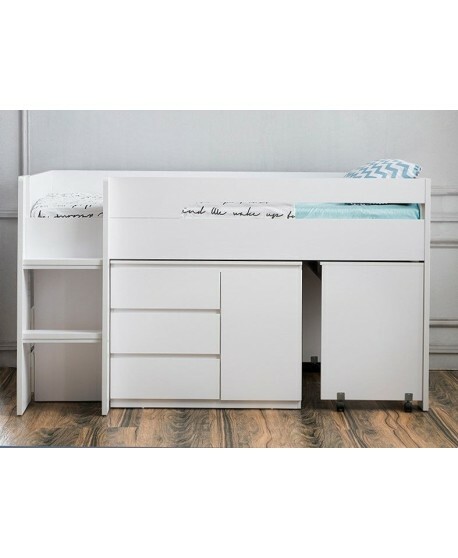 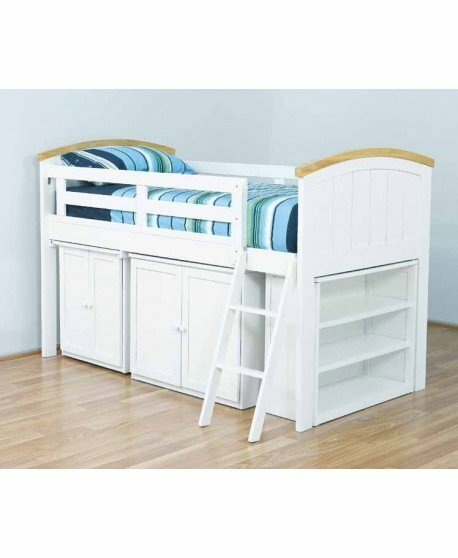 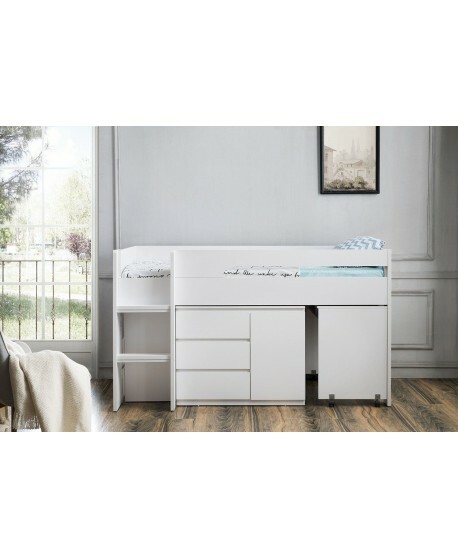 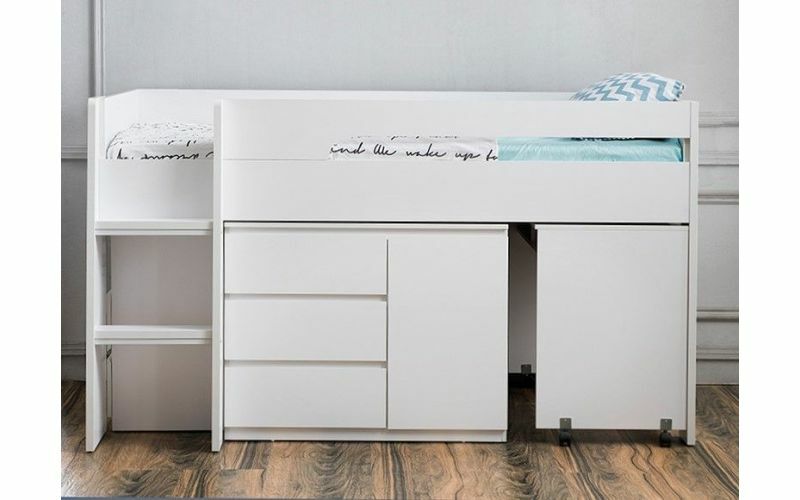 This delightful Jupiter Plus Loft Midi Sleeper Bed including a bunk, dfesk and storage is the perfect space-saving solution for young adult bedrooms. 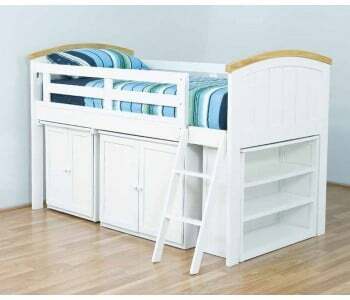 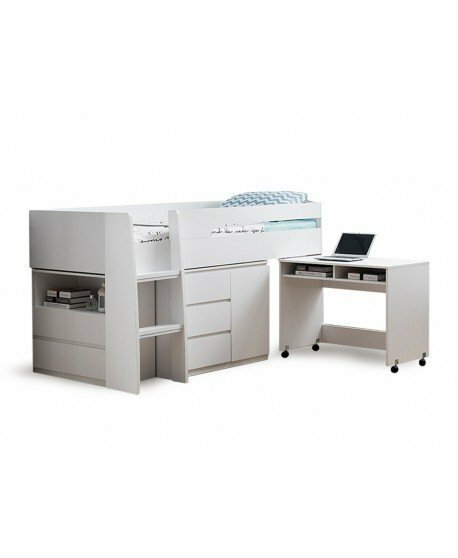 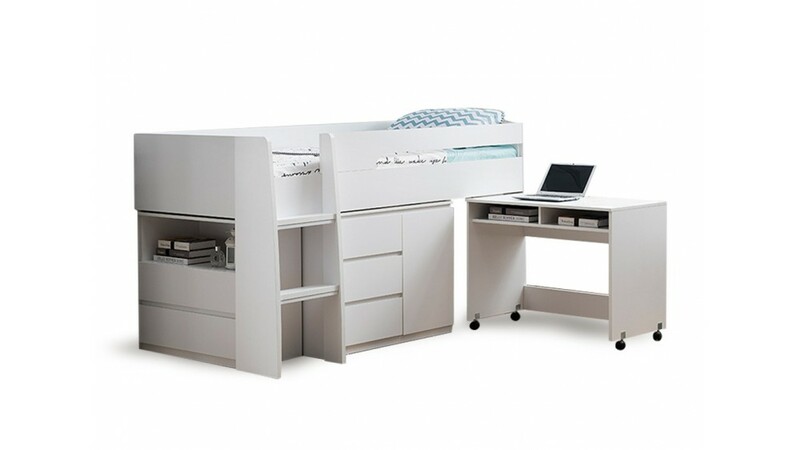 This multi-functional low semi-bunk sleeper bed comes with a built-in lowboy, desk on castor wheels, and cupboard. 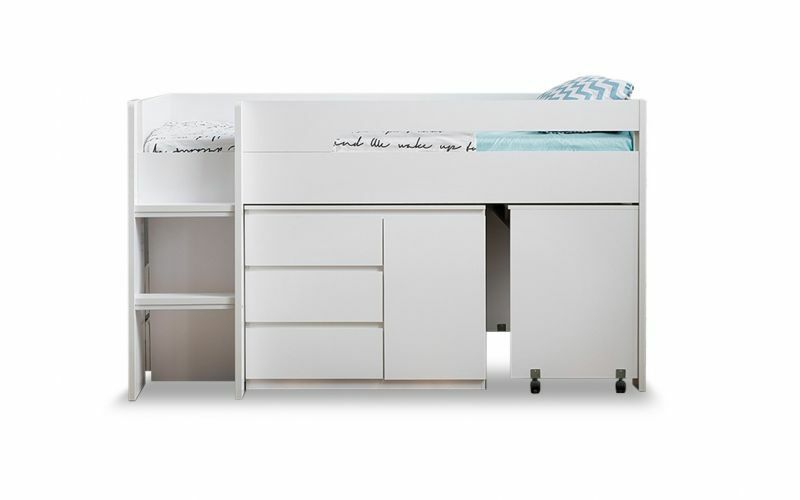 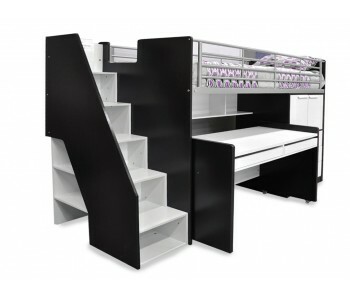 The midi loft bed is tall enough to house a variety of storage needs underneath without being a high-climb for young occupants, and is a perfect combination for teaching children and teens about space, de-cluttering and working efficiently. 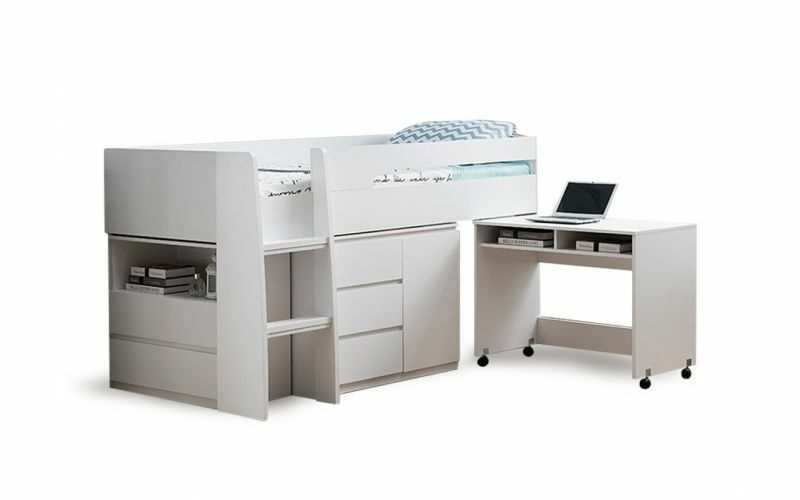 Your children will love going to their room when the Jupiter is there! 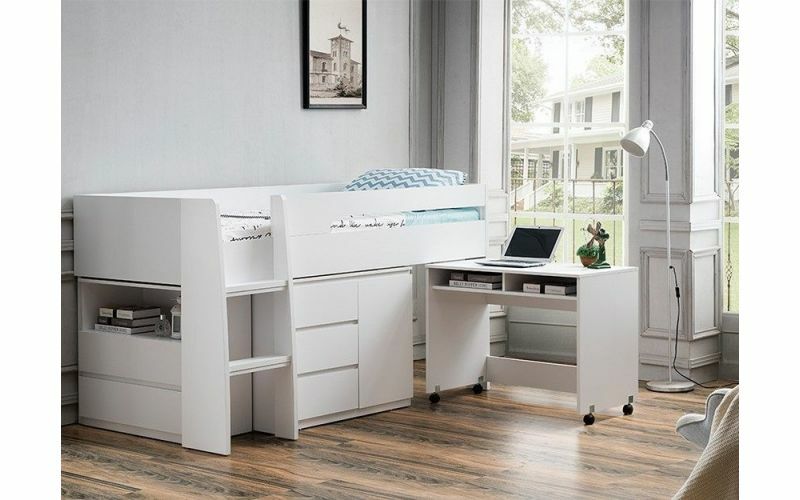 It's the perfect compact combination of style and functionality that helps create a stylish contemporary bedroom space for your brood! 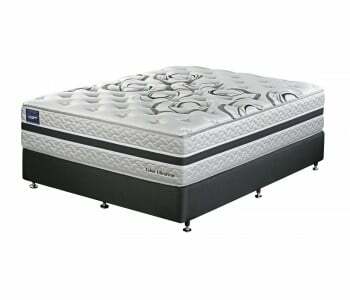 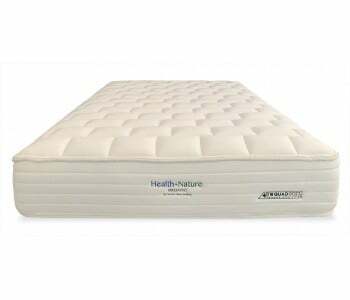 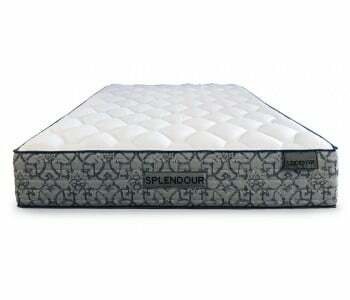 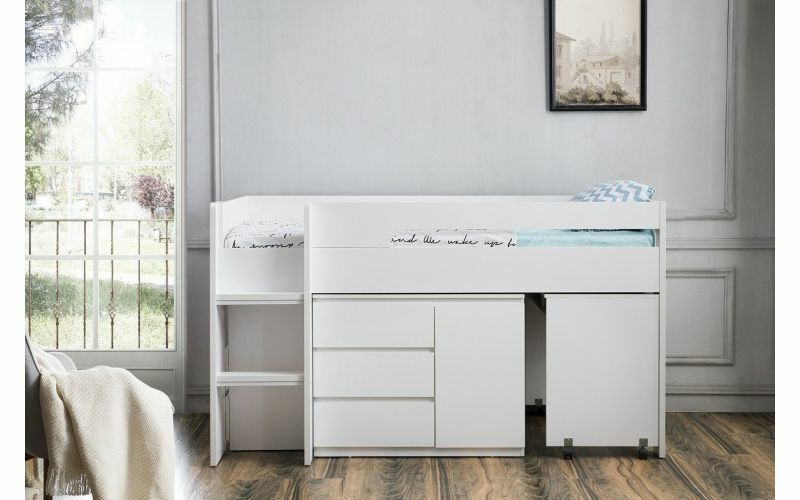 The Jupiter Plus midi sleeper bed is made from the highest quality materials and is able to withstand the tumble of energetic children for years to come while maximising space in your bedroom. 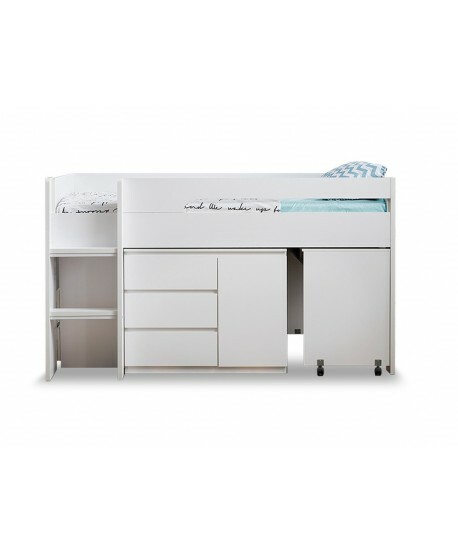 Available in single and king single frames rising 112cms high, and made with meticulous construction and craftsmanship, this loft bed and associated bedroom furniture will give you long-lasting results - taking the problem of having enough space for sleep and study options in one room away. 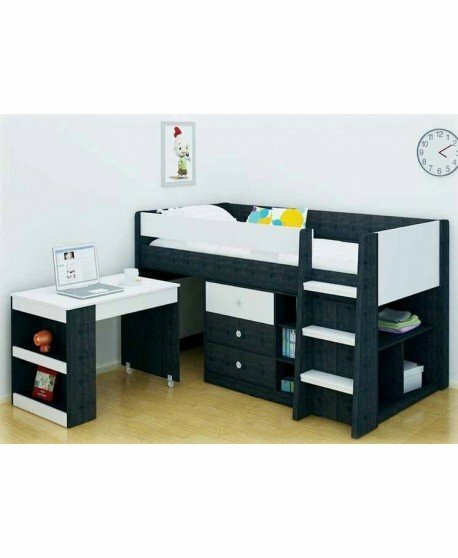 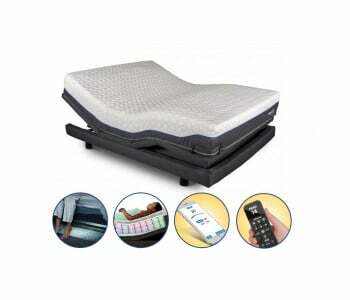 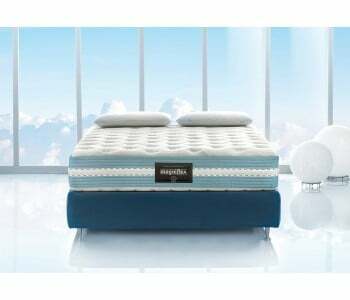 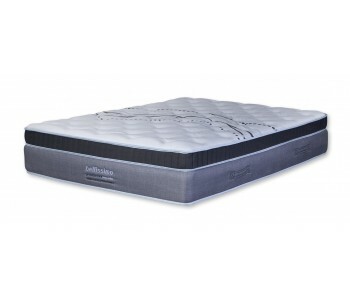 It's a great design option for multiple users of a bedroom at a great price! 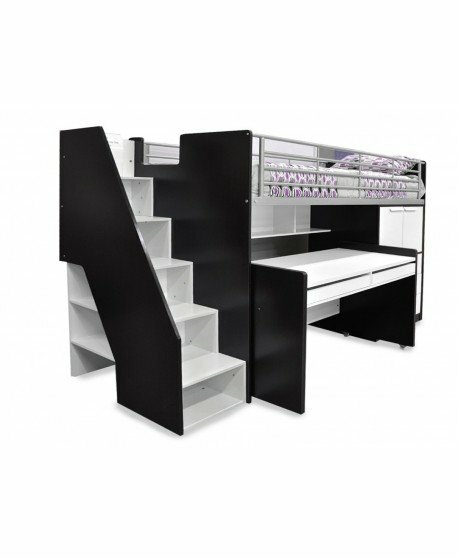 Why not contact our sales team today to see if your new Jupiter loft bed is in stock?